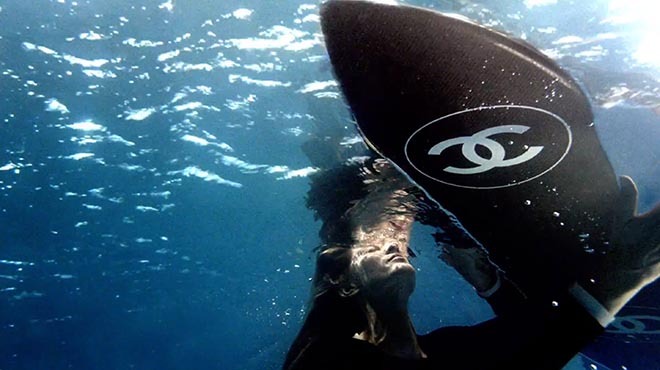 Chanel No 5 has launched “The One That I Want”, a 3 minute commercial featuring Gisele Bündchen, Michiel Huisman and Lo-Fang, set to a song written by John Farrar for the 1978 film version of the musical Grease. A woman, a destiny, a perfume. N°5 #theonethatiwant. The film follows on from Baz Luhrmann’s film featuring Nicole Kidman, launched in 2004. Gisele plays the role of a woman who explores life and love as a surfer, a mother, a model and a partner. Filming was shot in Fiji (surf), Montauk (beach) and New York City (studio and club), by Bazmark director Baz Luhrmann with executive producer Paul Watters, principal director of photography Mandy Walker, director of photography Simon Duggan, production manager Alexandra Taussig, production designer Catherine Martin, Revolver executive producers Catherine Knapman and Michael Ritchie, editor Jonathan Redmond. Surf filming was produced at World Wide Mind by 2nd Unit director Ben Nott, producer Tim Duffy, camera operators Scott Soens and Jamie Alac. US line production was done at Biscuit Filmworks by producer Nina Shiffman. Post production and visual effects were produced at The Mill by creative director, shoot supervisor and 2D Lead Corey Brown, executive producer Melanie Wickham, senior VFX producer Jeremy Moore, VFX producers Tom Johnson, Veronica Ware, shoot supervisor Dan Williams, 3D lead artist Andres Eguiguren, 2D artist Burtis Scott, John Price, Joe Vitale, Dae Yoon, Kang, Daniel Short, Rob Roth, Anne Trotman, Antoine Douadi,Amanda Amalfi, Aron Baxter, Jamie Scott, Tetsuro Mise, Yoon-sun Bae, Richard Lyons, Jade Kim, Chris Sonia, Jeff Robins, Brandon Danowski, Rob Meade, Jeff Butler, Kshitj Khanna, Jamie Scott, Dan Williams, Fergal Hendrick, Anne-Sofie Tholander, Alex Candlish, Joseph Tang, Chloe Barker, Olivia O’Neil, Heather Goodenough, Georgina Ford, Chris Scott, Gavin Marler, 3D artists Xuan Seifert, Jessica Soderstrom, Ajit Menon, Eva Kuehlmann, Carlos Nieto, Olivier Mitonneau, Christos Parliaros, Dan Moller, David Hempstead, Philip Maddock, Michael Hunault, Michael O’Donoghue, Henrik Holmberg, Yoann Gouraud, Filippo Forno, Rebecca Ferguson, Benoit Gielly, Sergio Xisto, Quentin Sauvinet, Mike Simons, colourist Adam Scott. Baz Luhrmann discusses the new N°5 story. Music is “You’re The One That I Want”, written by John Farrar (Warner Unichappell Music/Sony), recorded by Lo-Fang, available on his album Blue Film (4AD). 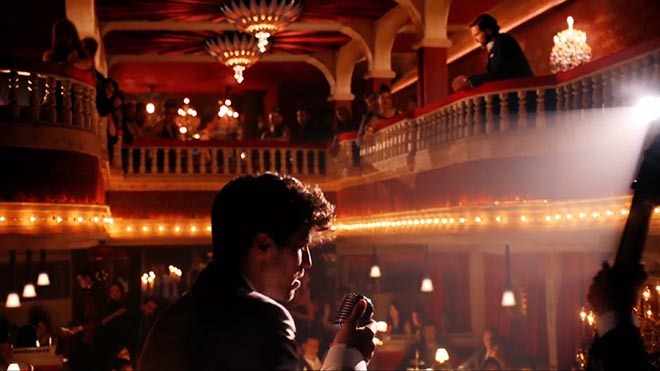 Baz Luhrmann describes how the radical remake of a classic song created a new narrative for N°5. Baz Luhrmann reflects on the heritage of N°5 and how the fragrance became an icon. Baz Luhrmann explains his creative process. Baz Luhrmann explains why Gisele embodies today’s N°5 woman. The cast and crew travel from Fiji to Montauk to find the perfect setting. Production designer Catherine Martin offers a glimpse into the film’s fashion, from the concept designs to the final pieces on set.